An innovative and inspirational Product Design Conference will bring some of the best leaders and thinkers in the field of Design and Manufacturing together at Bangor University on June 7th 2017. The conference, which is organised by the University’s School of Education and is in its third year, will include talks by award winning product design engineer Jude Pullen from the BBC series ‘The Big Life Fix’ and Fred Manson (International company, Thomas Hetherwicks). Also, sharing their experiences at the conference will be Bangor University design graduates, Ed Beardsley and Hugh Smith, who are both currently working in the industry. 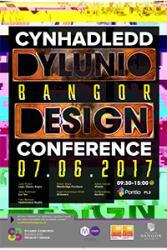 The conference will conclude with the official opening of the Degree Show which will showcase the work of current Bangor design students. The event will appeal to anybody working in or interested in all aspects of design and manufacturing. The conference and degree show promises to motivate and inspire those interested in the field of design, and to share best practices within the industry as well as strengthening contacts between the university and design and manufacturing companies -many of which already work in partnership with Bangor University giving design students work placements as part of their degree programme. 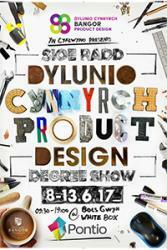 The Degree Show runs at Pontio’s Arts & Innovation Centre between 7.6.17-13.6.17 and is open to all and free of charge.